In December I attended and spoke at the World Stem Cell Summit in Atlanta. It was a great meeting, but also I had the chance to go visit the Martin Luther King (MLK) Monument and tour his birth home. It was a very inspirational experience. MLK has been a hero of mine since childhood and I believe in his vision for the future. There are many quotes from MLK that resonate include the one on a poster at the giftshop next door to the birth home (see at right). We can’t be silent about the things that matter. Below are pictures from the front and the back of the MLK birth house. The tour was done in a small group by a park ranger, who provided many interesting anecdotes about the extraordinary King family. We then walked down the street to the Ebenezer Baptist Church (see below) and visited there. MLK and his father were both pastors there and MLK gave his first sermon there. It had a great feeling to it. If you are in Atlanta, be sure to visit this great American historic landmarks, learn more about MLK and his family, and pay your respects to this visionary leader. Let’s keep MLK and his vision in our hearts and minds as we face today’s and the future’s challenges. I am not sure how you even begin to understand your ‘hero’ when you say you are not very religious (I saw your response to one of the comments in which you said you are not very religious). To understand MLK Jr., a big part is to understand the core of his beliefs and the purity of his thought, to see humanity as God see us. Dont believe you have that capacity, Paul, given the hatred and unforgiveness in you soul, as one of the comments (ALS advocate, I believe) rightly pointed out. SO it will be good for you not to be insulting our intelligence, as if you are given to some higher thinking. Cue the Darth Vader music…? You seem to think I’m some kind of monster. Hatred and those other words of yours are out of place. Dr. King’s philosophy went beyond religion. Is it so? I would be very interested to know your version of Dr. King’s philosophy that you say went beyond Christian faith….let’s be specific here (already I can tell you have no clue just by the way you said “beyond RELIGION”)…we are not talking about “religion”…we are talking specifically about Christian faith. You seem to know something about Christian faith for a “not very religious” man. Stop this stupidity, and the meaningless statements. 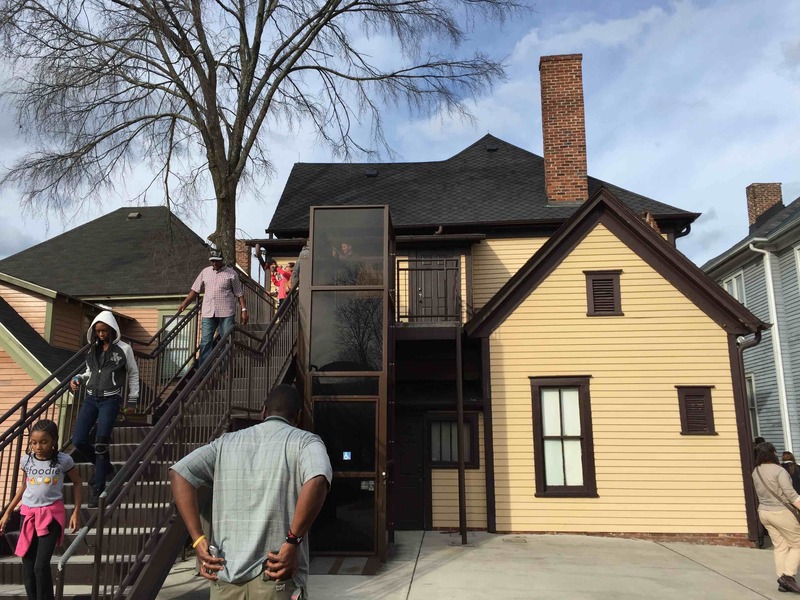 Many thanks for the inspirational reports on your visiting to the MLK birth home at Atlanta.